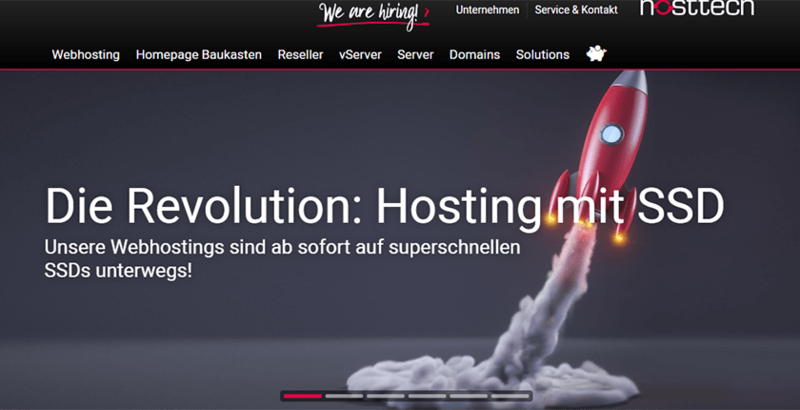 Hosttech Review 2019: Is Hosttech a Good Hosting? Hosttech is a Swedish web hosting company that has competent website hosting solutions, albeit with limited support. Beginners will have to pay to access website builder tools as they are not included in standard web hosting packages. Hosttech is a web hosting company in Sweden that has been offering a variety of website hosting services since 2003. Since then, they have served over 35,000 clients with more than 110,000 domains hosted along with over 1,500 dedicated servers. Their website hosting services are suitable for most personal and small business sites. However, their support is a bit lacking, and beginners will have to pay if they need access to drag and drop website builder services. Unfortunately, they don’t support Python or Ruby on Rails. They do support PHP up through 7.2 and phpMyAdmin. Hosttech shared hosting plans do not come with a website builder. Beginners are going to have to rely on Hosttech’s auto-installer that’s not as robust as other web hosts. You can install WordPress and other programs such as Drupal, but there are only about 100 apps supported where other sites offer 300 or more. Also, if you’re used to using standard cPanel, you’ll have to learn to use Plesk as that’s the cPanel option for this site. The easyS plan is only for the most basic websites as you have very little storage available. Personally, I’d recommend either the easyL or AktionSpecial plan as they have plenty of storage space and plenty of MySQL databases available. There doesn’t appear to be a limit on database size, so the easyL and AktionSpecial will be good options for E-commerce stores just getting started. Note that a free domain is not provided, nor are SSL certificates. You’ll have to pay an additional fee for those. One alternative to their standard hosting is their Website Creator hosting. With their Website Creator hosting, you can use their Swiss-made drag and drop editor to build a custom standard or E-commerce site. Note that this convenience comes at a premium that is more than triple the cost of easyhosting plans. I’m very disappointed in the support available from Hosttech. First, they don’t offer live chat support. Their telephone support operates on limited hours and is paid phone support. They are only open Monday through Friday from 8:30 am to 11 a.m. and 2 p.m. to 4 p.m. CEST. They offer email support with a turnaround time of 24 hours. They also don’t provide a knowledge base on the website. I attempted to contact support but all responses were in Swedish, so it appears they don’t offer English-speaking support. Their website is in Swedish or Austrian and that the website does not translate well by Google Translate, so finding solutions through their website may prove difficult. Hosttech is more than capable of hosting your personal or small business website, but don’t expect much in the way of support unless you’re willing to pay for it. More features for beginners and an updated support structure is needed before Hosttech can be considered anything more than an average web host. Wondering how Hosttech stacks up against other Web Hosting companies? Enter any other Web Hosting company and we will give you a side-by-side comparison.